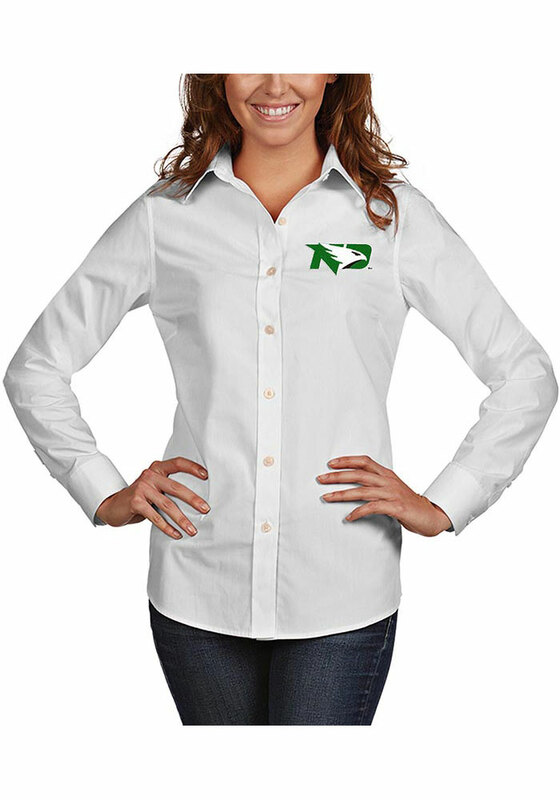 Let your Fighting Hawks spirit show in the office with this North Dakota Fighting Hawks Dress Shirt! Wear your spirit with pride in this Womens White Dynasty Long Sleeve Long Sleeve Button Down Shirt. This Long Sleeve Dress Shirt features a University of North Dakota logo embroidered on the left chest.